Tube: high quality synthetic rubber, making hose resistant to oil, abrasion and corrosion. Reinforcement: one layer of high tensile braided steel wire, making the hose work well in high pressure environment. 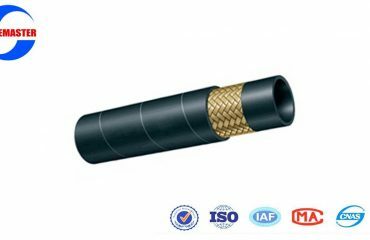 Cover: high quality synthetic rubber, making the hose resistant to abrasion, corrosion, weather, ozone, cut, aging and sunlight. Working temperature: -40 °C to +100 °C. 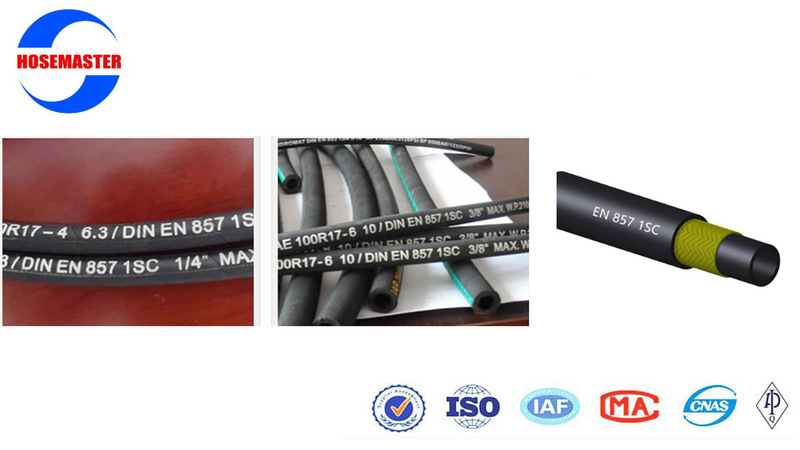 EN857-1SC hydraulic hose is similar to EN857-2SC hydraulic hose in application.Reinforced by one high tensile wire braid, EN 857 1SC hydraulic hose has similar performance as its counterpart SAE 100R1 besides tighter bending radii. Ozone and weather resistant cover separate the tube from the outside environment and effectively extend the service life of hose. 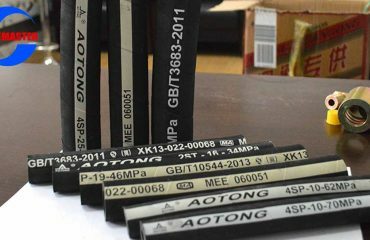 Single wire braided 1SC high pressure hydraulic hose is suitable for high pressure conditions where tight routing is required.